In a career that spans more than 30 years, SUNY Optometry alumna Dr. Carol Record ’82 has learned one thing above all else: never underestimate your ability to accomplish what you set out to do. And what she, along with her husband Dr. Stephen Record ’82 set out to do not only resulted in their professional success, but it also changed the entire field of optometry in Virginia. The Records met at SUNY Optometry in 1978. Carol was an eyeglass wearer who was intrigued by the neurobiology of the visual system; Stephen was a former biochemistry major at UMass Amherst who shadowed an optometrist and realized it was his calling. While at the College, they gained the academic foundation for their life’s work—and forged a lifelong partnership. After serving their community for more than three decades, the Records closed their practice in 2016. But they did not leave optometry. 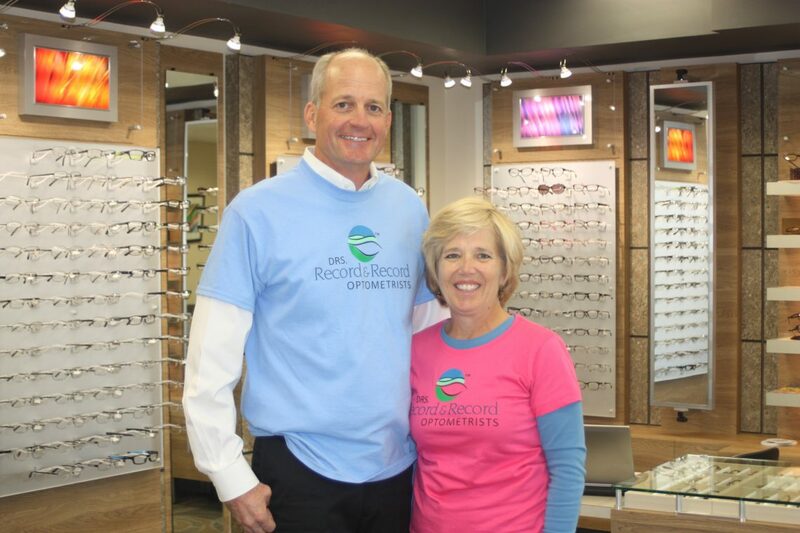 Carol sits on the Essilor Advisory Board, a post she has held for 10 years and that allows her to provide input about products and business initiatives from the perspective of a private eye care professional. She is also trustee and secretary/treasurer of Optometry Cares, the benevolent arm of the AOA that raises funds and administers student scholarships, disaster relief and various other programs.